Big thanks to Holsworthy Community College for a warm welcome today and loads of great questions! In case any of the students are reading this page after today’s visit, the links I mentioned during my talk are: Chicklish – teen book review site, and Girls Heart Books – group author blog. 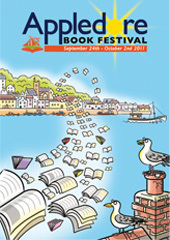 I visited Holsworthy as part of the schools programme for the Appledore Book Festival, so huge thanks to them, too!